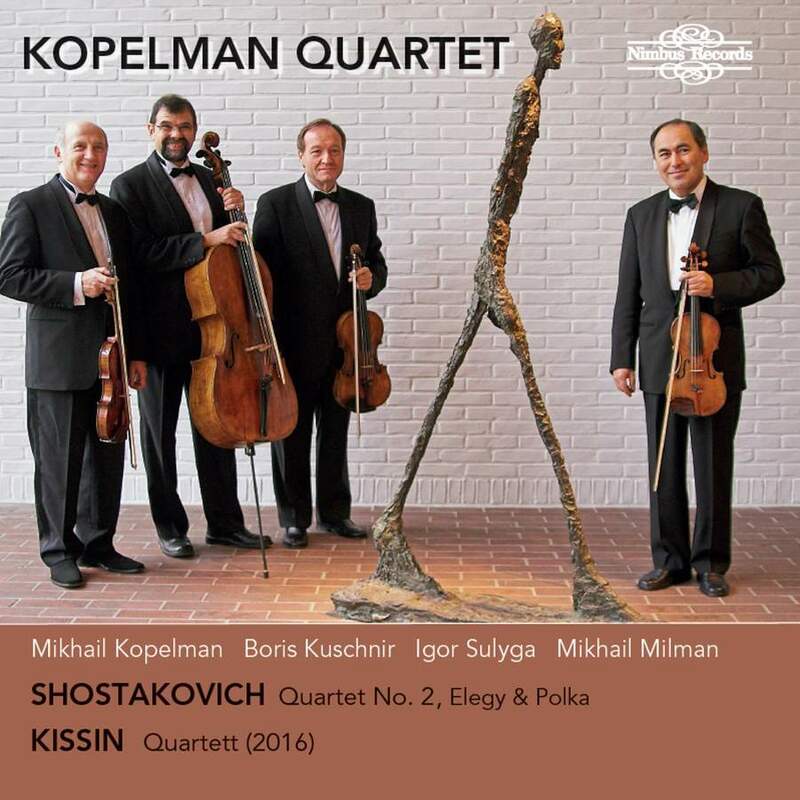 Nimbus Records has announced the release of the Russian-based Kopelman Quartet’s new album: Shostakovich & Kissin String Quartets. Comprising violinists Mikhail Kopelman and Boris Kuschnir, violist Igor Sulyga and cellist Mikhail Milman, the disc features Shostakovich’s String Quartet No. 2, Op. 68 (1944), Elegy and Polka – paired with pianist and composer Evgeny Kissin’s newly-premiered String Quartet (2016). “With this recording we are continuing our series, from previous discs, where we are pairing Dmitri Shostakovich with his fellow 20th Century Russian contemporaries …” violinist Mikhail Kopelman has said. “The inspiration for this new recording was finding the perfect Shostakovich pairing for the newly premiered quartet written by our friend and colleague Evgeny Kissin … we particularly love working with composers who can be there at the recording session,” he has said.